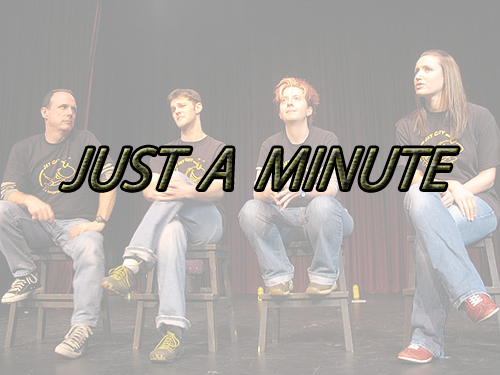 JAM is nothing but Just a Minute. This is the main idea for recruiters to examine students in the interview process. This JAM round is a new round of interviewing students earlier there are no JAM rounds in the whole interview process. Only there is written test and final face to face was conducted but in these days there are many rounds are conducting because of huge competition. Written test, JAM round, Group Discussion round, and Technical round and face to face round is conducting these days. JAM is very interesting round to recruitment board to conduct. Here we are providing JAM details like what is JAM, JAM Tips, Do’s and Don’ts in JAM Rounds, JAM Topics. How to Practice for JAM Round, List of JAM Topics with answers and etc. as follows. 6 Let us see some JAM Topics as follows. We all well-known about this word JAM. JAM is the acronym of Just a Minute. This is one of the main rounds in some company’s interview process. By conducting this JAM round recruiters can know that a specific student how much he or she is talented enough. To test the skills of the students this JUST A MINUTE is conducted. Some recruiters gave chance to students to come up with their own topic. And some recruiters come up with a number of topics and give to the students. In this one minute of time recruiters can test the following things in the students as follows. Never be nervous in this round. Must see to the faces of the interviewing people and as well as neighboring people. Your voice must be very clear and audible to everyone. Give a presentation and brief details about your topic. Present your topic of JAM in clear and simple language. Better choose the JAM topic which is related to Political, Social, Economic, Legal/Language and Technical. Use the words like- However, certainly, defiantly. Avoid using the word “But”. Be positive and maintain a positive outlook. Finish your JAM topic with a Thank You giving. Don’t be Nervous this is the main drawback of disqualifying in JAM round. Just use simple and clear English slang while presenting your topic in JAM rounds. Don’t use mother tongue anywhere in the JAM rounds. First of all, choose your own JAM topic. Practice on that topic. Choose as simple as a possible topic for your practicing session. Practice some topics with your friends or before a mirror. Choose any recent and current topics of your interest. Check your grammar and speaking skills. Practice as many as possible topics daily. Follow Do’s and Don’ts for Jam Sessions. If you practice speaking in English daily ou can crack this Jam round even more easily. Let us see some JAM Topics as follows. SMARTPHONES – Smartphone or a mobile phone it becomes one of the daily need in today’s era. Day to day the usage members of smartphones becoming very high. Day by day there many more features are introducing into the software’s mobile users are updating and using smartphones rigorously. Currently, about 90% of handset sales worldwide are for devices driven by Google’s Android and Apple’s iOS mobile operating systems. With the high internet, speed access is available with 2g, 3G, and 4G. Users are very much habituated to QWERTY keyboard which is another feature. Additional to these features applications like WhatsApp Messenger, Facebook Messenger, Hike, Share it, Yahoo Messenger, Video call apps and many more can be access in these smartphones. CRICKET – Cricket is an international playing game between two teams consisting of 11 members with a bat and a ball in 22-yard long pitch. Toss is done before starting of this sport between two teams. The toss winning team choose according to their whether to batting or bowling. The bowler delivers balls and batsman need to hit the ball batsman can bat and score runs until he become out. After the completion of over bowler gave bowling chance to another bowls man. There are 20-20 matches, One-day matches, Test matches are held between the teams. Winning teams get their records and rewards. PERSONAL INTRODUCTION – This is just introducing yourself to another unknown person. Let us see an example introduction speech of a person as follows. Good Morning/ Afternoon/ Evening Sir/Madam. Hi friends I am sandhya. I have completed my Bachelors of Technology from Loyola Institute of Engineering and Technology. Coming to my hobbies playing badminton, Caroms in my free time usually and more over listening to Music most of the Time. Though I am a fresher I don’t own any experience in any field. My short term goal is to get into a good job in top MNC’s to enhance and improve my skills. My long term goal is to get reaching the higher position in your organization. That’s it about me. Thank you for giving such a nice opportunity to introduce myself. ROLE OF WOMEN IN SOCIETY – Women plays an utmost important role in the society. Equal to men they are participating in everything. Women are created as a companion for men and men have to make her walk with them in course of life. Women plays many roles in their whole life like Mother, Daughter, Sister, Wife and etc. Women have more responsibilities in bringing up a good society through generations. Men have fewer responsibilities when compared to a woman. Men have no right to abuse or torture woman but they still doing like that only. Morality is an issue with this as women are sometimes not ready to be a mother and their husbands or boyfriends have already left them. Men just left and walk away based on situation but women stand by themselves bear everything and solve their own problems with confidence. The basic unit of society are women, As a woman makes a family, a family make homes and homes make society. We should never think that a society would come into existence without a contribution of women. MY FAVORITE MOVIE – Hello Have a good day all. Today I am going to discuss Jam topic named My Favorite Movie. My favorite movie is ORANGE. The most favorite thing or the most attractive thing in the movies is its Music Album and as well as Locations and the story. Which attract me the most to see this movie again and again. My favorite hero named Ram Charan is also playing role named RAM. He has done the best performance in this movie. I just love all the songs in that movie. The story is also quite interesting in that movie, and the movie is not boring at all. The above article gives you the in detailed information about JAM and list of topics with answers for your reference and many more details about this JAM Topics and all. Just read once get well prepare and crack the JAM round. For more JAM Topics with Answers CLICK HERE.